What is the difference between a Cylinder and a Barrel?. NONE whatsoever, they are exactly the same same part when it comes to ordering. People and industry has different names for them. Here are some other variations. Can I get a barrel with multiple keys made for various members of my family? Yes, You can order extra keys at the checkout page. To measure your cylinder follow this link to the guide its will sow you how to remove your cylinder barrel and how to measure it Click here for more details. How many keys will I get with my handle? You will get three precut keys, More are available at time of order. You cannot add more once the item has been dispatched. What is a thumbturn cylinder? 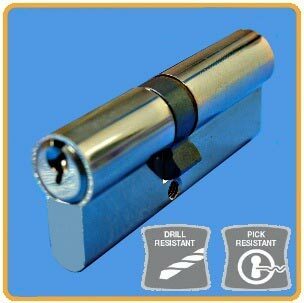 Thumbturns are ideal if you want to be able to use a cylinder from inside without a key. cupboards etc or houses where you have a dog that is constantly coming and going outside. Do you have High Security Barrels? Feel free to contact us if you need anymore information. 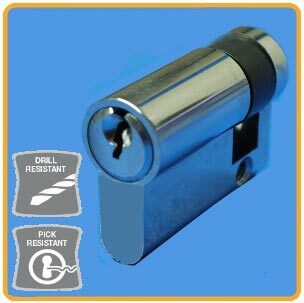 Our Euro cylinder door lock Barrels conform to BS 1303 EN. 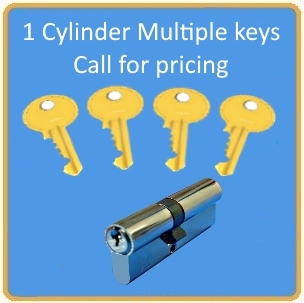 The euro cylinder is a 6 pin version and keys can be cut from any key cutters. 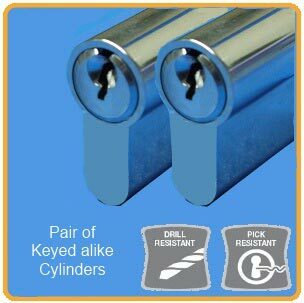 Our Euro cylinders do not have special keys that you need to send away to get cut or even get the blanks for your cylinder barrel. 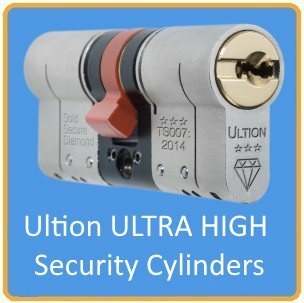 All Euro door lock cylinder barrels come in Gold or Silver (chrome) option to suit the furniture on your uPVC or composite front or back doors. The euro cylinder barrels are easy to fit and if you need any help on how to take out your old cylinder barrel just click here to see our simple to follow guide and get your cylinder barrel swapped over with the minimum of fuss. Will suit both Wooden, Composite and uPVC doors with euro shaped cylinder cases. Cylinder barrels are usually found on UPVC doors but are also found on composite doors (doors that look like timber but are actually metal skinned). 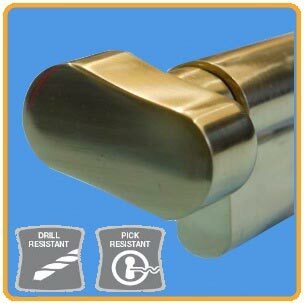 Also you will find these cylinders in some timber doors where the cylinder hole is euro shaped.